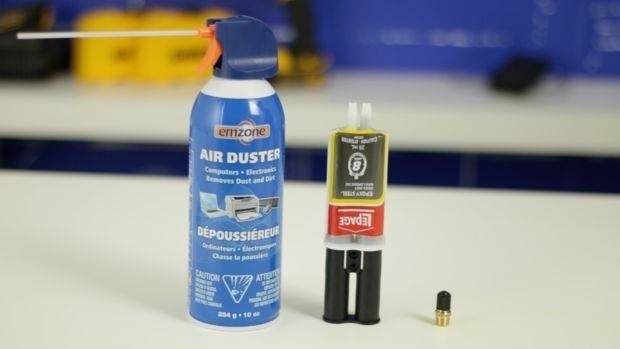 All you need is an empty air can, some liquid metal epoxy, and a tank valve similar to what is used on a bicycle tire. You will also need a drill and 3/8" bit. 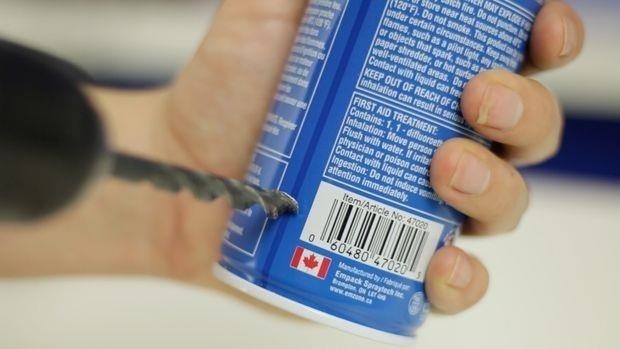 Start off by making sure there is no air left in the can. 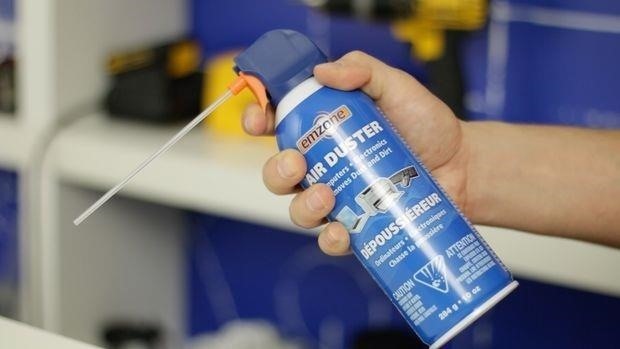 We really don't want to start drilling the can while it's pressurized. Next, choose a drill bit that matches the width of the air valve. Mine happened to need a 3/8" drill bit. Now it's time to seal it up with the liquid metal epoxy. I cut the end from a Q-tip to mix the 2-part solution together. 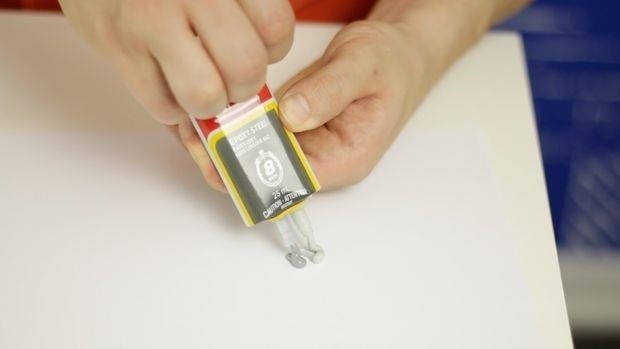 The Q-tip also made it real easy to apply the epoxy directly to he valve. The instructions say it cures in 8 minuets, but I let it cure for a few hours. This stuff is rated for 3500 PSI, so it's complete overkill, but it's better to be safe than sorry. 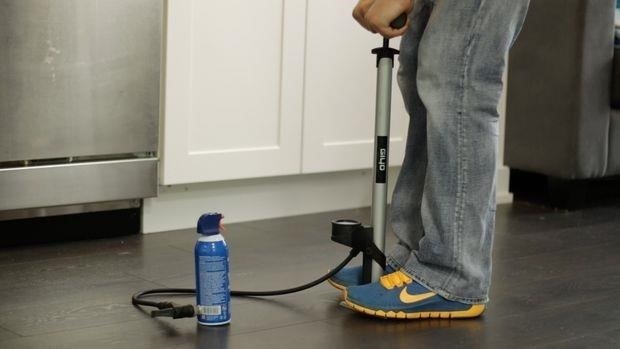 Go ahead and attach a bicycle pump to the valve and let's add some air! 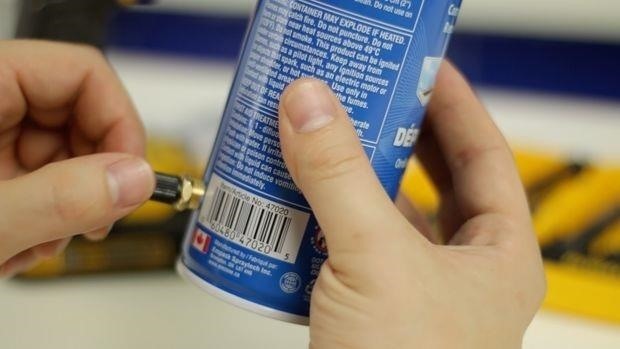 The recommended pressure rating on this can was 70-90 PSI, so let's keep this extra safe and only fill it up to 60. That's it! I hope you enjoyed my quick little life hack.